We’ve been hearing about the return of the Bronco and Ranger for years now, from unsubstantiated rumors to near-certain union agreements, but Ford picked the Detroit Auto Show to make it official: two of Ford’s most universally-beloved discontinued vehicles are making a comeback, and both will be built in the U.S. The Bronco and Ranger, which were discontinued in the United States in 1996 and 2011 respectively, were two of Ford’s most beloved vehicles; the Bronco broke on to the scene in 1966 as Ford’s entry in the off-road vehicle market, and the Ranger served as a smaller, less-expensive alternative to Ford’s famous F-series trucks. Ford has announced that the Ranger will return in 2019 and the Bronco will return in 2020. Rumors as to what 21st-century versions of these iconic Fords will look like have been swirling for years, and while we’ll have to wait a while longer to know for sure, recent statements from Ford shed some light on the situation. 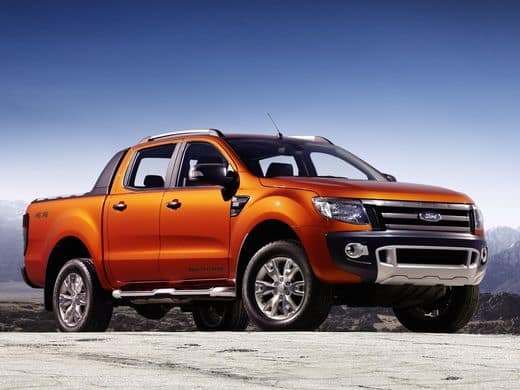 The Ranger is still in production internationally, and while its appearance has been refreshed in line with Ford’s current design language, Ford says to expect the U.S. version of the Ranger to see different engine options and a redesigned front end. The Bronco is a bit more of a mystery, but at its core it will be a body-on-frame SUV based on the Ranger which will resemble the Ford Everest (available internationally) in size. With American consumers making it very clear that they have a soft spot for trucks and SUVs, Ford’s decision to introduce a medium-sized truck and off-road capable SUV right now are no coincidence. When two of our favorite cars are available again, expect to see those two familiar nameplates everywhere the road – or gravel road – takes you.